​Is there a fee for this event? No the event is free to the public, however donations are accepted at the gate. We appreciate your support in keeping the historical aircraft flying. Wings Over Indy is a demonstration of WWII Era aircraft. This unique event allows the public to purchase rides in several of our historic aircraft to first hand experience history like never before. Our weekend kicks off honoring Hoosier Veterans followed by Warbirds flying in formation and low level fly-bys for photo opportunities. 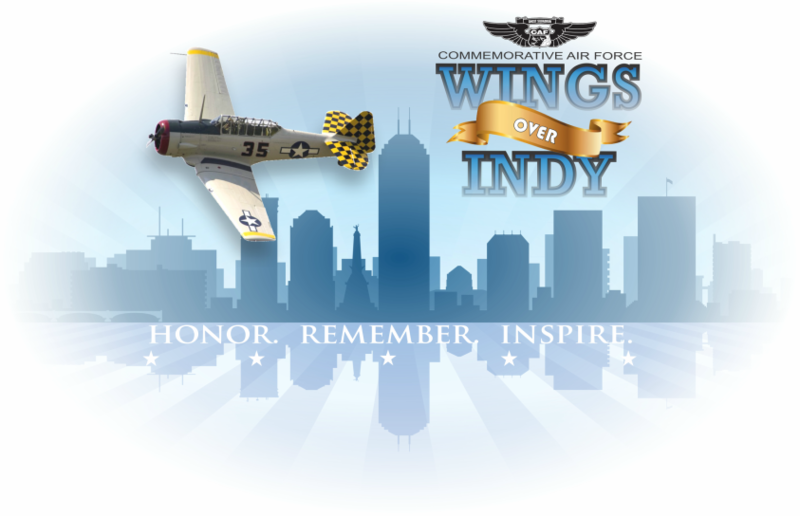 Wings Over Indy will not have aerobatic flight during the event. Numerous WWII aircraft will be available to walk around and look at on static display when not flying. What is the Honoring Veterans Celebration? This is one of the best parts of our weekend. Saturday morning at 10 AM we will gather in the Warbird Hangar to hear prominent guest speakers as they address Hoosier veterans in thanking them and their families for their service. This is often an emotional and heartwarming opportunity to hear "their" stories, often times never told, and provide some the opportunity to reunite with other veterans and aircraft. If you are/or know someone that is a veteran that may like to attend, please fill out our Veteran Registration Form for more information. Yes, nearly 10 different aircraft ride opportunities will be available. Make sure to book yours today! Seating will be limited in some aircraft opportunities.